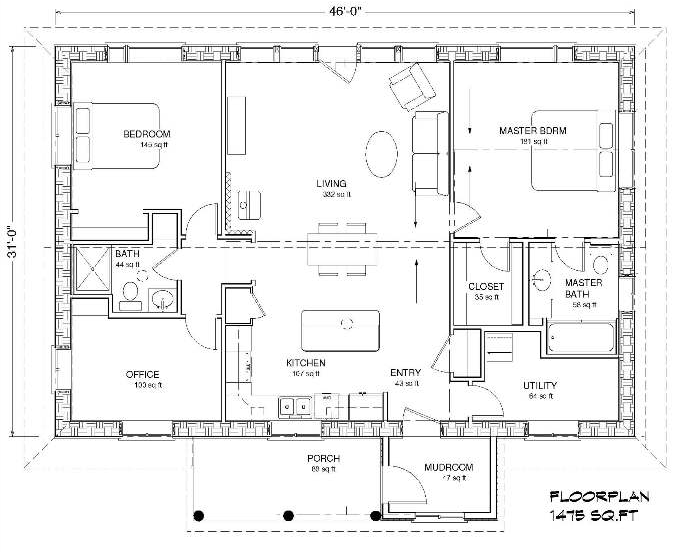 A very space efficient plan with 2 or 3 bedrooms. A central woodstove with adobe wall behind provides even heating on cold winter nights. 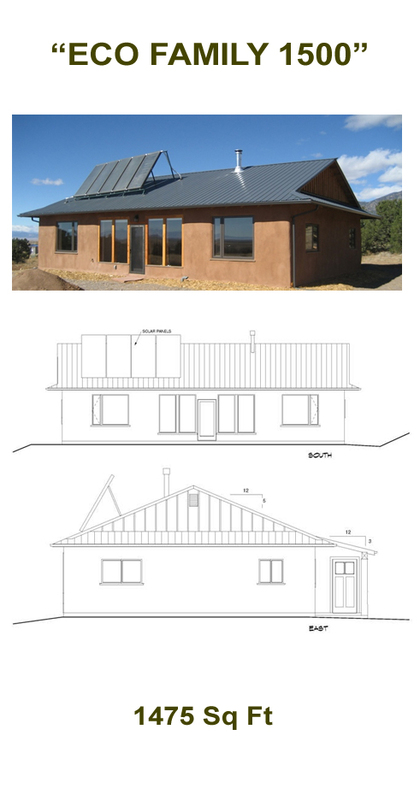 2 bedrooms and main living space are placed to the south to take full advantage of the passive solar heat. An easy home to live in for 4 people.